Happy New Year!!! This week has been a good one to reflect on 2017. It was a year of unusual situations such as the dry winter allowing for nitrogen burn on corn, herbicide carryover, wheat stem maggot in corn from late-terminated wheat/rye, dicamba concerns on soybeans/trees/vegetables, downed corn ears and the challenge of recovering them…I think so often as I reflect, it’s easy to see the problems that occurred as those tended to be the headlines. But as I also reflect, I think of so much more. It’s been a hard several years both personally and professionally for me and one reason I love Extension is for the relationships I’m so blessed to have. As I reflect on this past year, it was a year of spending time sharing the ways we all were hurting/healing while looking at crop problems, working in on-farm research plots, or just visiting. It was a special year in building even deeper relationships with many of you whom I’ve served in the past and meeting new people in the area I’m serving. Thank you also for your grace as it is a challenge serving regions of counties. I truly am grateful for the friendships and opportunity to serve you! One of my highlights was pesticide training…yes, pesticide training! I know it’s required for us as private applicators every three years, but it’s my chance to teach/learn from/see so many of you and do my best to share important crop information as well. I enjoy winter meeting time as it always feels like a big reunion to me to see who comes and to catch up! Pesticide training last year was fun to still have the opportunity to train those of you in my former area and meet many in my new area. Another highlight is a group of youth I meet with each month for Crop Science Investigation (CSI). This was such a rewarding experience for me in Clay County working with Clay/Nuckolls county youth and watching them learn, grow, and some pursue ag careers through the years. In York County I’m blessed with a very young, energetic group of youth who are so much fun and love to learn! Basically, the youth are detectives every time we meet as I give them a real problem to solve. 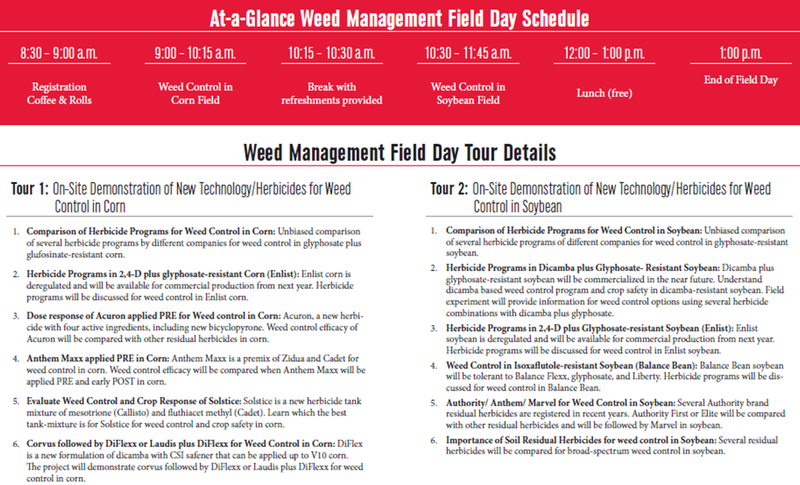 We spend time out in the fields learning about crop growth, weed/insect/disease ID, take industry tours, etc. Our youth right now are mostly in the 6-11 year old range but any youth and parents are welcome to join us if you’re interested. Please just let me know at jrees2@unl.edu for meeting times. On-farm research plots are always a highlight for me for how much can be learned and this year we had some intense plots regarding data collection! Grateful for the farmer-cooperators in the time spent on these plots and how you’re so good at working with me. I also am grateful to the media. 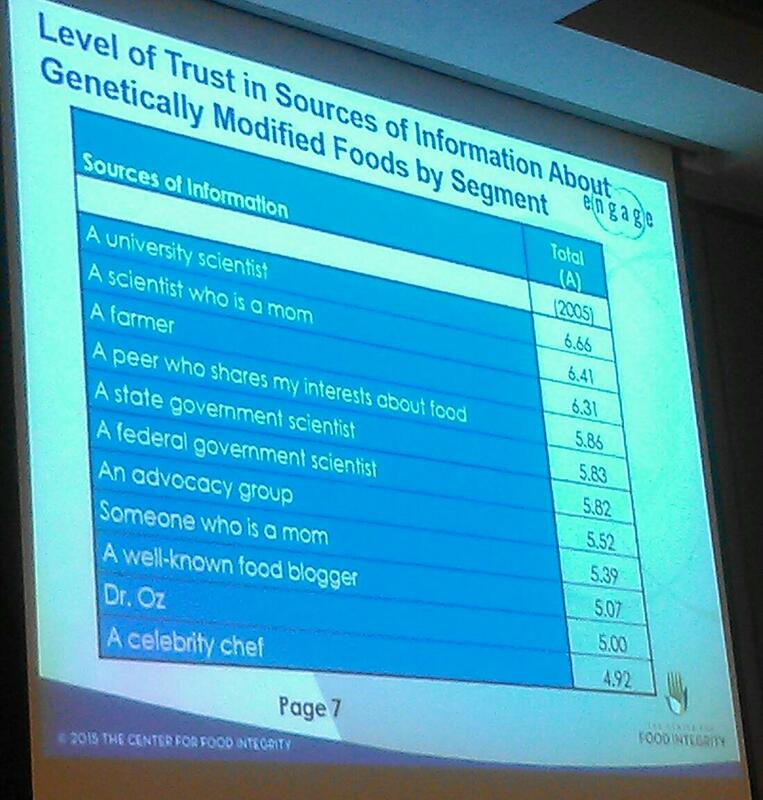 With fewer of us in Ag Extension, we’re called on more often to share when problems arise. So grateful for the relationships with all our media partners-TV, radio, newspapers, magazines-and all you do in helping us share our research-based information timely! As I think about 2018, one concern continues to be low commodity prices and ways to make it through. The Farm Bill and what will happen regarding it is another topic. Dicamba unfortunately may continue to be a topic. And, it seems like every year we have varying weather that creates challenges and opportunities. Two things that will continue are the optimism/resiliency I see every year in our farmers and the strong family that Ag in general is. Here’s wishing you a safe and blessed 2018! • Cover Crops/Annual Forages for Grazing, Jan. 10 from 1-4 p.m.
• Precision Ag, Jan. 11 from 1-4 p.m.
Winter Ag Program Brochure: You can also find our winter ag program brochure for South Central/Southeast Nebraska at: https://go.unl.edu/vzyg. Radio advertisements, email blasts, and other media are warning of corn diseases and the need for fungicides. Two months of humid, wet weather has allowed for disease development. It’s important to know what diseases truly are in your field before spraying a fungicide, particularly with today’s economics. Here’s what we’re seeing in fields right now in the Clay, Nuckolls, Thayer, Adams county area. Based on the diseases we’re seeing, we would recommend you scout your fields to know whether you have mostly bacterial or fungal diseases present. Consider disease pressure, where on the plant the disease is occurring, growth stage, and economics. We have had southern rust show up in 10 of the last 11 years I’ve been serving in this area. If you spray a fungicide at tassel, you may not have enough residual to ward off southern rust when it appears later, potentially resulting in the need for a second application. In our area thus far, I’m not seeing enough disease pressure in many fields to warrant a fungicide at tassel; consider delaying an application till later for economic and resistance-management reasons. Ultimately this decision needs to be done on a field by field basis. Please also see this UNL CropWatch article regarding fungicide application and corn growth stage. Although I don’t have a photo of it, I’ve also seen common rust in the mid and lower portions of corn canopies thus far. Anthracnose has been observed in fields for a good month now. It is mostly seen on lower leaves of plants, particularly in fields where we’ve had high amounts of rainfall, standing water, and/or hail. Lesions are tan in the center and have a wavy yellow colored margin. I haven’t seen it moving up the plant very far yet. There are fungicides labeled for this, but we don’t often recommend fungicide treatment for anthracnose. 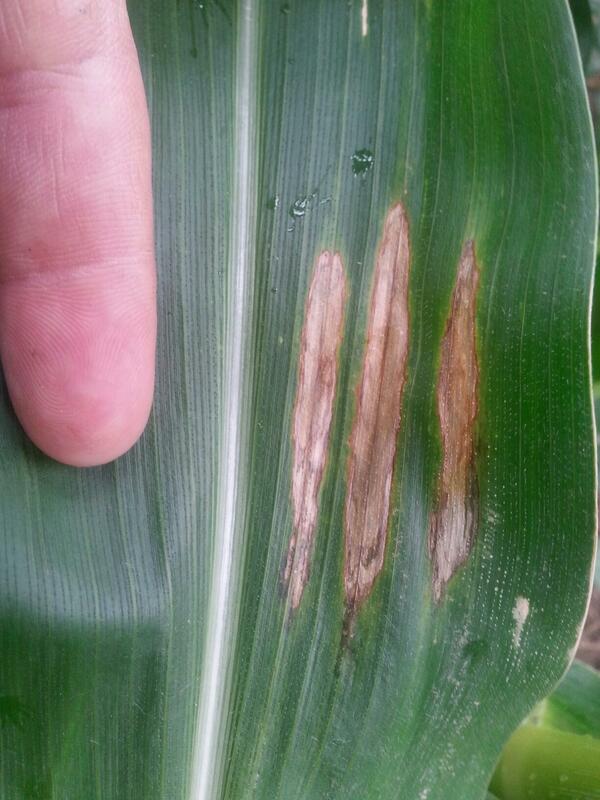 We saw this disease in the Saronville/Sutton area last year. This year, we are seeing it throughout Nuckolls, Thayer, Clay, and Adams counties…and most likely others too. 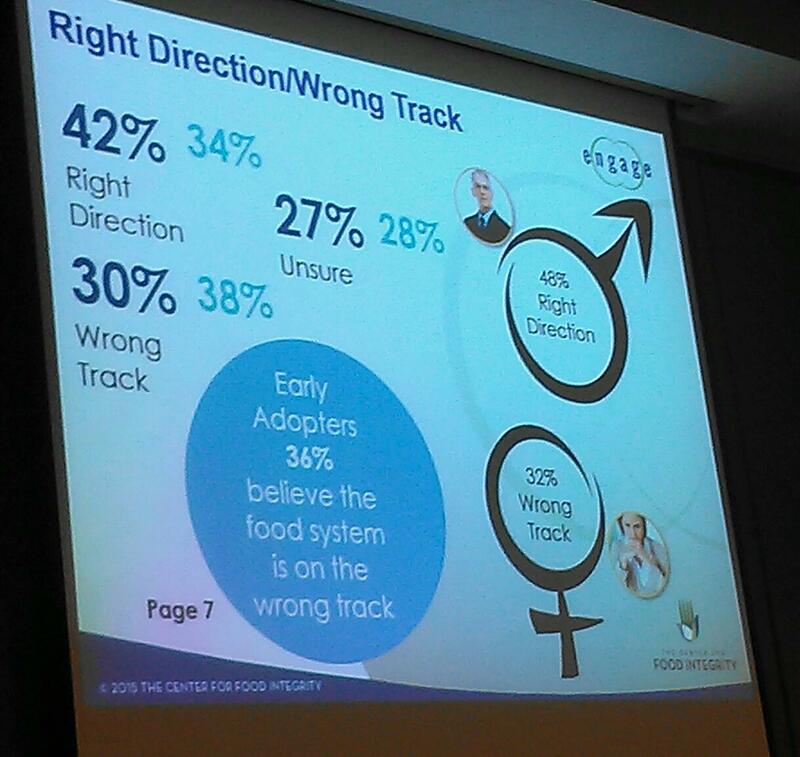 Some hybrids (and have seen this across companies) are highly affected by this bacterial disease. Neither last year, nor this year, has the pathogen causing this disease been confirmed. Plants will have vein-limited lesions in streaks on the leaves. It is often confused with gray leaf spot early on. Take a hand-lens and looking closely, you will see wavy margins on the lesions which doesn’t usually occur with gray leaf spot. Over time, these lesions become elongated and can coalesce with other lesions. Also looking closely with a handlens or microscope, one finds the leaf tissue eventually becomes transparent. While other diseases can look similar to it, under the microscope, no fungal spores are found other than secondary ones. Putting an infected leaf in water reveals cytoplasmic streaming in which the bacteria is escaping the leaf tissue. 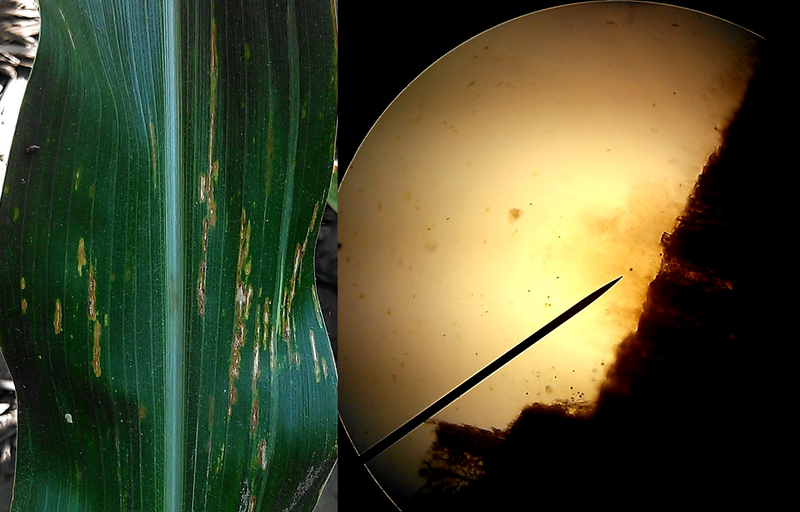 (The pathogen causing Goss’ wilt also does this, but this disease is not the same as Goss’ wilt). Fungicides will not cure bacterial diseases and the products advertised for targeting bacterial diseases haven’t been researched for this disease. This is the primary disease we are seeing in our area right now-and it looks nasty in some fields! Unfortunately there’s nothing we can do about it. If you are considering testing one of the products for bacterial diseases, please let me know as I’d appreciate testing it with you via on-farm research. Goss’ wilt (bacterial disease) has been observed in fields as well. I typically notice it along field edges, pivot tracks, pivot/well roads or hail-damaged fields as plant wounds in general allow an entry for bacterial pathogens. However, research has shown that the bacterial pathogen causing Goss’ wilt can enter through the leaf stomates as well. Leaf miner damage can be observed at the top of this photo, and often, but not always, I notice this occurring together in fields. There is nothing we can do for Goss’s wilt if you have this disease in your fields right now. There are products targeting bacterial diseases on the market. If you’re interested in trying these, please consider an on-farm research experiment to prove the efficacy to yourself and help us obtain data. Physoderma brown spot typically doesn’t occur in our area until tasseling (which is where we are at now in some fields). However, I was seeing this as early as two weeks ago on some hybrids. The pathogen causing this disease is a fungal-like pathogen that moves with water. You will notice a purple/brown color on midribs of leaves, leaf sheaths, stalks, and tiny yellow/brown/purple spots on leaves. This disease isn’t considered yield-limiting or of significance to us in Nebraska. Some confuse this disease with southern rust, but there are no pustules produced with Physoderma brown spot. The larger, rectangular lesion is typical of gray leaf spot found in some lower leaf canopies right now. 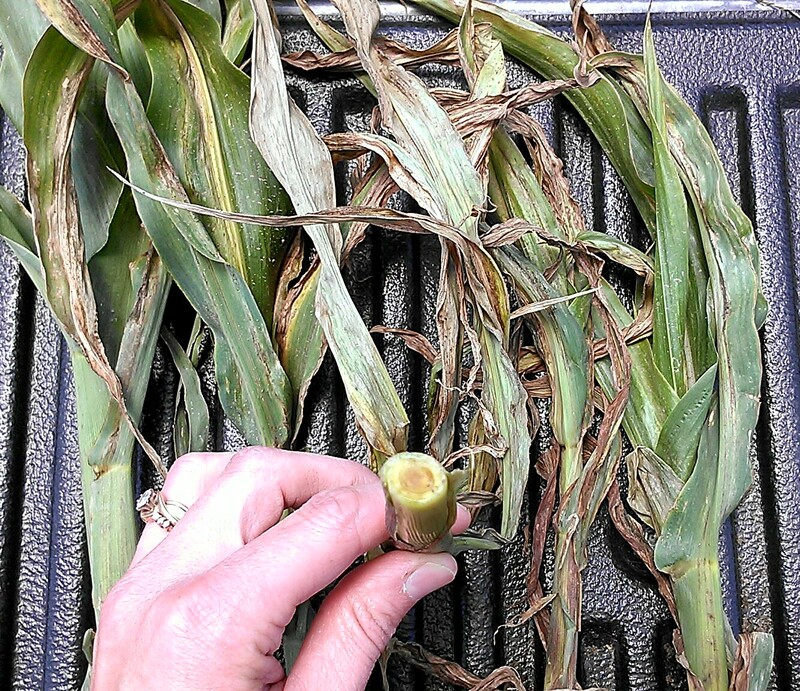 It is easy to confuse with anthracnose as both diseases appear a little different on various hybrids. Gray leaf spot will be vein-limited while anthracnose is more blotchy in appearance. Comparing gray leaf spot with the unknown bacterial disease, the lesion edge will be straight for gray leaf spot and wavy for the bacterial disease. Northern corn leaf blight is a disease we’re hearing a lot about but I have yet to see it in our area. Most have been mistakingly calling the unknown bacterial disease shown above and even Goss’ wilt, northern corn leaf blight, but there’s truly a difference as you see these photos. Compared to gray leaf spot, northern corn leaf blight will be more cigar-shaped instead of forming a rectangle. As this photo taken from the Mead, NE area shows, lesions are often forming in close proximity to each other on the leaves in Nebraska right now. This disease is one to watch as it has been expanding on certain hybrids in some fields, particularly in eastern, Nebraska. However, I still haven’t seen it in our area and haven’t received any confirmations of it being found in our area at this time. (Photo courtesy of Aaron Nelson, Nelson Precision Agronomics). 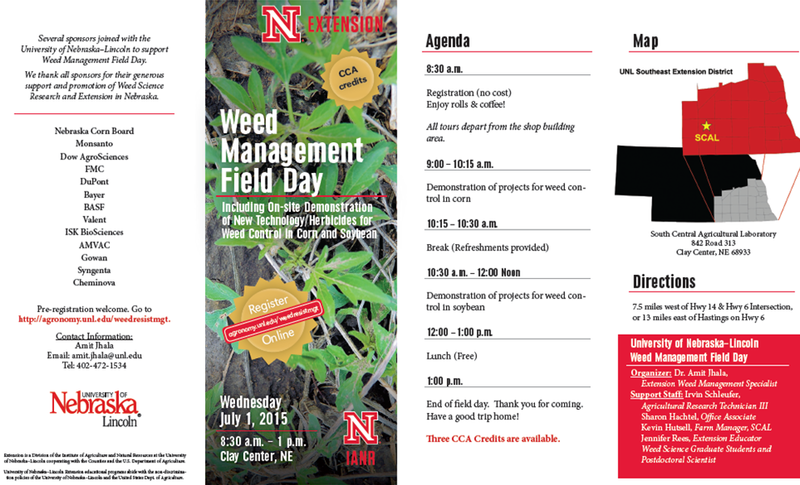 July 1 is the upcoming Weed Science Field Day at UNL’s South Central Agricultural Laboratory near Clay Center. The brochure with more information is shown below as photos; please click on the photos to enlarge if they are difficult to read. You may RSVP to Dr. Amit Jhala at (402) 472-1534. Hope to see you there! 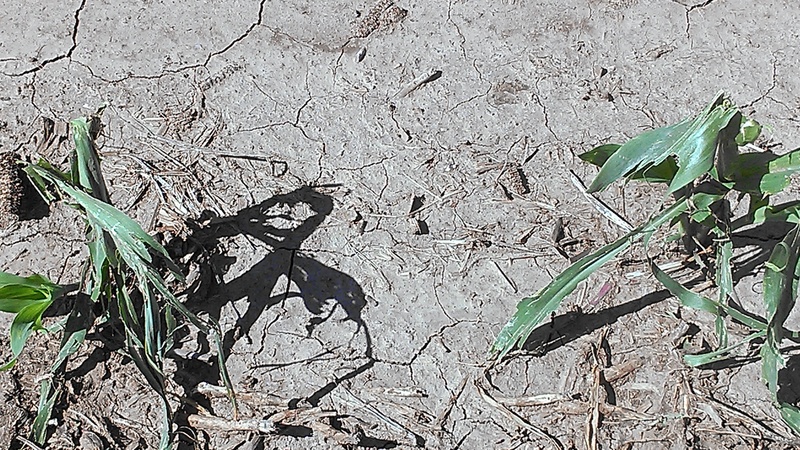 Corn that was hail-damaged on June 3rd is starting to regrow. Leaves wrapped up in the whorl are beginning to slough off as wind and warm temperatures cause the damaged tissue to die and break off. For more information on how stand loss impacts yield, please check http://cropwatch.unl.edu. 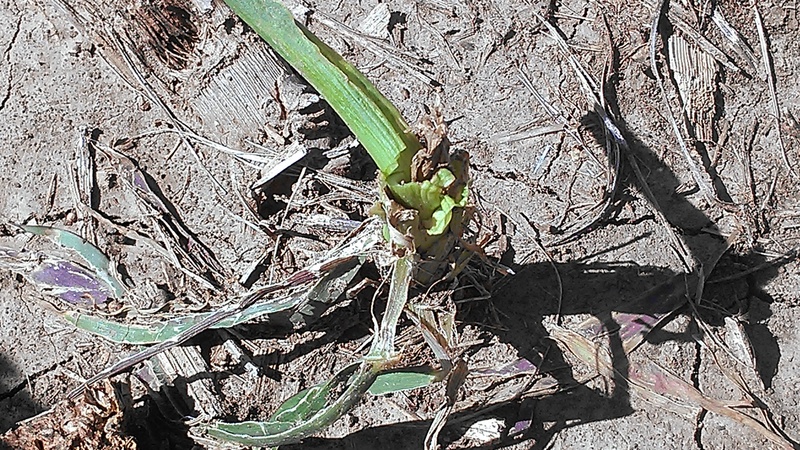 Some corn plants more severely affected were reduced to stems. Sometimes no new growth is appearing while in other plants new growth can be seen. I split open the stem on this plant since no new growth was apparent and the center looked discolored. 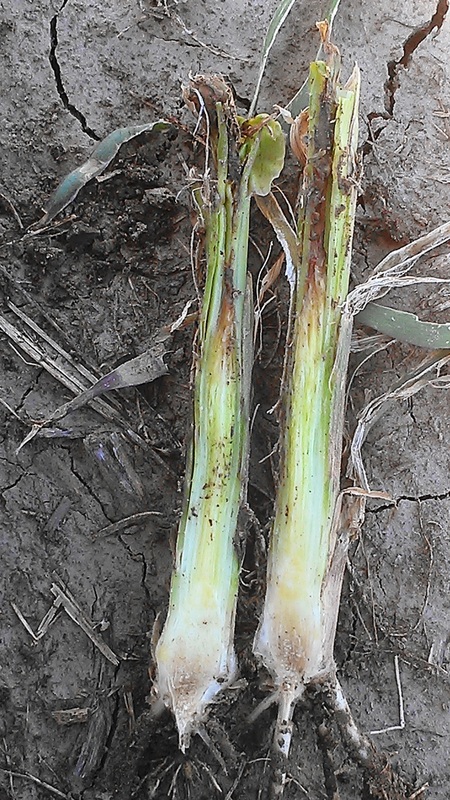 In this corn plant, a bacterial rot has set in as can be seen from the discoloration at the upper portion of this plant and the discoloration at crown area. This plant may not survive. This is typical of what we were seeing in Nuckolls/Thayer counties with the 8-10″ of rain they received there. My concerns for corn at this point are bacterial diseases such as this or Goss’ wilt that may continue to reduce stands through the season. Some growers are considering a fungicide application but fungicides don’t target bacterial diseases. We’d recommend anyone considering this to consider an on-farm research experiment and I’d be happy to help set this up for you. 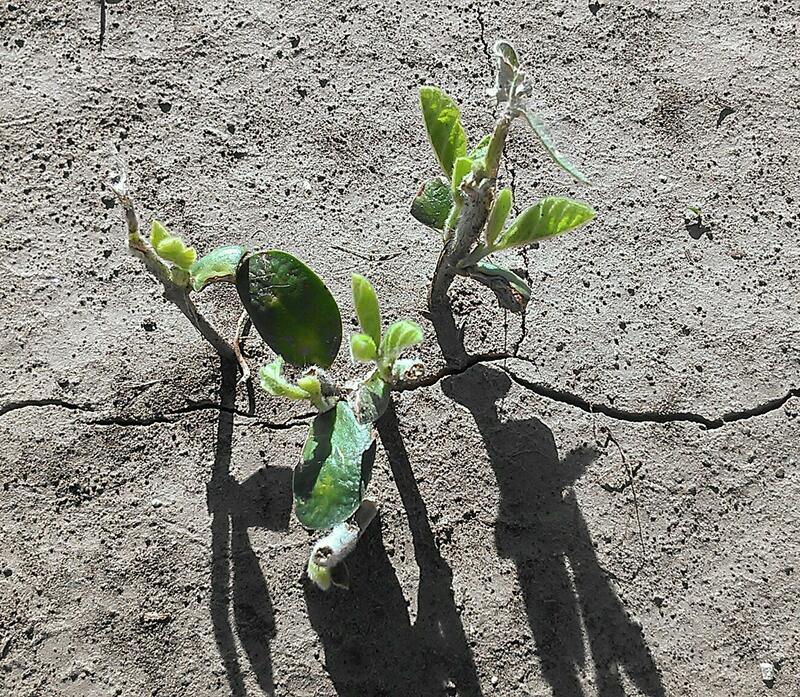 These soybeans were reduced to stems yet are showing new growth 5 days later. UNL research has shown that soybean stands can be greatly reduced without a significant yield effect. Several growers are considering replanting; we’d recommend taking into account the research or conduct an on-farm research experiment to see any differences for yourself like this farmer did. The other thing we have looked for is bruising on stems and some flooded areas truly did not have plants survive. For more information, please check out http://cropwatch.unl.edu. Happy National Ag Day today on March 18th! Actually, this whole week we celebrate National Ag Week in which we recognize and celebrate the abundance provided by agriculture. We’re thankful for all our farmers and ranchers and all involved in the ag industry for providing a safe, affordable, and healthy food supply! 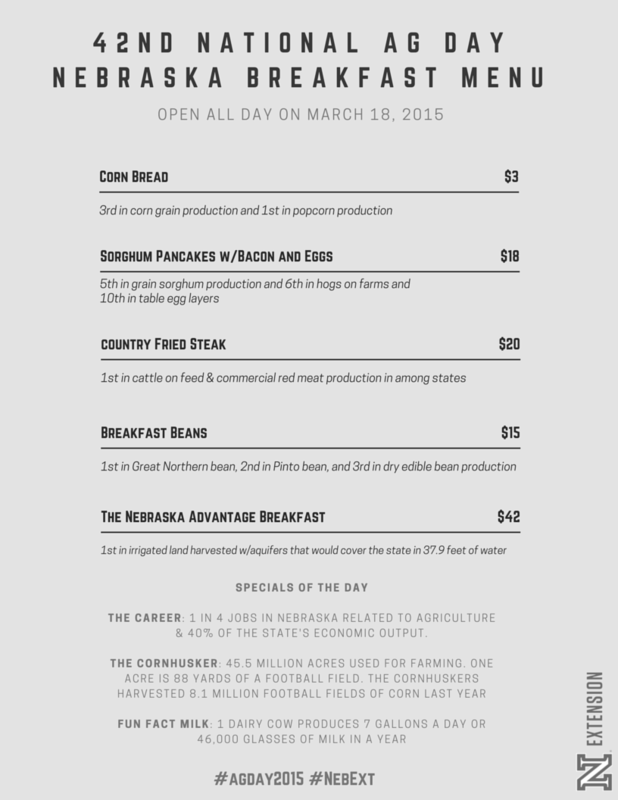 Your breakfast today courtesy of our Nations’ Farmers and Ranchers! Special thanks to Nathan Mueller, Nebraska Extension Educator in Dodge County, for this infographic. There are several celebrations this time of year for Ag Week and Ag Day. Raising Nebraska in Grand Island is hosting an Ag Day Open House on Saturday, March 21, 2015 from 10:00 am to 1:00 pm. This is a free event open for the public. Guests will enjoy interactive engagement stations that allow participants to learn more about agriculture through an activity, getting their questions answered, and feeling excited about Nebraska agriculture. From science and innovation, to community and culture, and even the global economy, Nebraska’s agricultural experience touches everyone. Through this incredible 25,000-foot interactive exhibit, you actually become part of it – in ways you never imagined and that you’ll never forget. Raising Nebraska is located in the Nebraska Building on the Nebraska State Fairgrounds at 501 E Fonner Park Rd, Grand Island, NE 68801. For more information on Raising Nebraska, visit www.raisingnebraska.net. Happy New Year! Wishing all of you and your families a wonderful 2015! As I look back at 2014, there are several ag-related observations that I noted throughout the year. 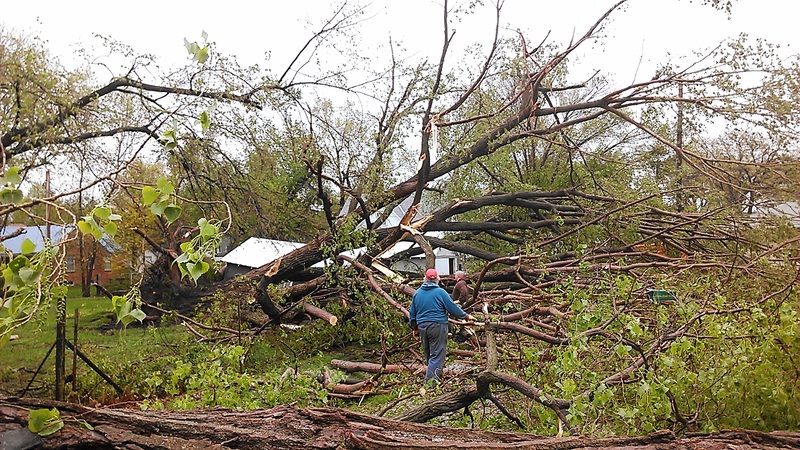 Cleanup after the tornado in Sutton on Mother’s Day 2014. The first observation continues to be the way communities and people in this County/area pull together in difficult times. Whether after tornadoes/wind storms or helping other farm families who had an injured family member or had lost a family member, it’s just a blessing to see the way people pull together to help each other in time of need. It was also a blessing for many who were unable to harvest in 2013 due to the August 1st storm, to harvest fields in 2014, and for many in the area to experience really good irrigated and dryland yields this year. The dry winter of 2013/14 allowed for very mellow ground during planting time. Often seeding depth ended up ½-1” deeper than intended. The dry winter also didn’t allow for good residue decomposition leading to problems during planting and ensuing stand emergence. Cutting off residue and high rains in May led to unintended consequences of replant situations when residue was moved off of farmers’ fields onto neighboring fields, suffocating emerged plants in portions of fields. I’m not sure what the solution is for the future other than it really needs to be something worked out with neighboring farmers, but perhaps mentioning it here opens an opportunity for future conversations. Cover crops have been incorporated into more operations in recent years, yet the ultimate goal for using them remains important in determining what species/crops are used in the fields. We also realized the importance of determining amount grazed prior to turning cattle into fields (whether for grazing cover crops or crop residue), as high winds in winter 2013/14 in overgrazed fields led to soil blowing throughout the winter. Systemic Goss’ wilt showed up in some fields that were hail and/or frost damaged by V6. The May frost showed us emerged soybeans at the cotyledon stage held up well to the frost compared to the corn. We also again watched Goss’ wilt show up systemically by 6 leaf corn that was injured early by frost or hail in fields where Goss’ wilt had been a problem in the past. We need more research/understanding of this disease. Wheat continues to show us its resiliency as it winterkilled in portions of fields, withstood drought-stress, and then made up yield in the last 4-6 weeks. Perfect pollination conditions coupled with high solar radiation, low night-time temperatures, and timely rain events were keys to the bountiful corn crop we experienced this year. Soybeans were more of a mixed bag. In walking fields and in conversations with farmers, I think the disappointment in some irrigated yields could be attributed to early/over-irrigation, disease problems, and planting date. UNL on-farm research showed on average a 3 bu/ac yield increase when soybeans were planted in late April to first week of May (regardless if growing season was warm/dry or cold/wet like it was this year) and those I’ve talked to who achieved 80+ bu/ac in the area this year planted in that time-frame. I’m curious if there’s something to planting a 2.4-2.5 maturity early vs. a 3.0+ maturity early as some area producers are seeing strong yields from a shorter season hybrid planted early the past few years. 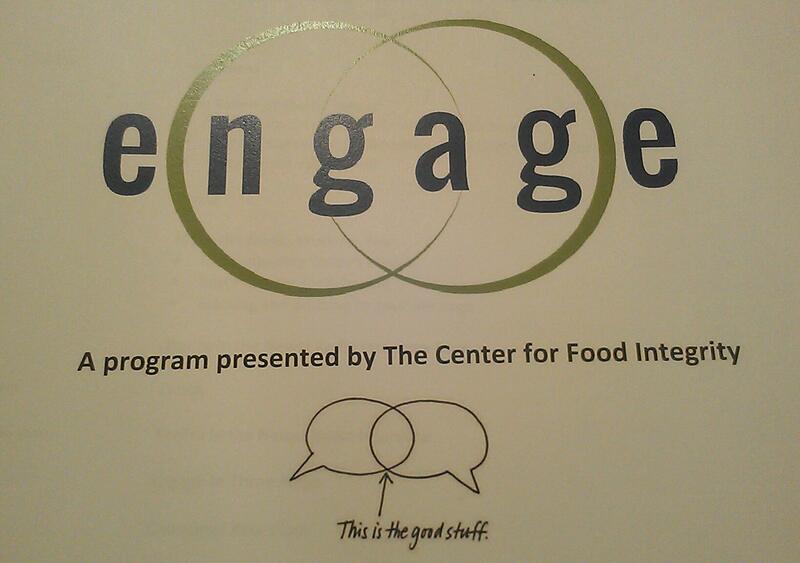 So if you’ve also seen this and/or are interested, that will be an on-farm research project to try next year. Please let me know if you’re interested! Here’s wishing you a healthy and prosperous 2015!